At Renude Laser, we strive to get the best outcomes for your tattoo removal in the fastest possible time, whether it is to fade your tattoo for a redesign or to achieve a complete removal. Our lasers are specially designed for effective all colour tattoo removal. All that incredible technology but it’s your body that does all the hard work to remove the ink, we just provide the expert ability for it to happen! Did you Know That Tattoo Removal Is All About the Lymph! When considering laser tattoo removal or going through the process of removal, supporting your immune system or more specifically your lymphatic system, the system that actually performs the removal of the ink, can make a significant difference. It is a network of tissues and organs that help rid the body of toxins, waste and other unwanted materials carrying infection-fighting white blood cells throughout the body. It is essentially the biggest drain pipe of the body and helps keep you well, removing the bad, including tattoo ink and circulates the good (infection-fighting). Beetroot is one of the greatest and longest valued of all plants that heal traditionally. It was so important, it was said to have been offered on a silver platter to the god Apollo by the Greeks. 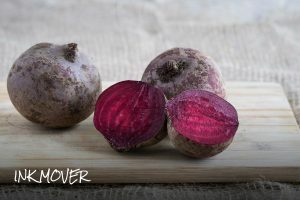 The mighty beet is a great liver cleanser, as well as a bile thinner. Bile helps break down extra fat in the system and rev up an often sluggish liver. Bile is also responsible for a large portion of the immune response in the gut, so it’s extremely important that if you want great health and strong immunity, you’re giving the lymph and the liver some extra love. The red-purple pigment in the beetroot is the anti-oxidant betacyanin, a liver detoxifier. The alkaloid within beetroot, betaine, also stimulates the liver, aiding detoxification and increasing its efficiency at processing fat. What’s not to love about the beet! Beetroot is high in immune boosting Vitamin C, fibre, essential minerals, helps lower blood pressure and boosts energy. The iron in beets regenerates and reactivates the red blood cells and supplies fresh oxygen to the body. The copper content in beets helps make the iron more available to the body. 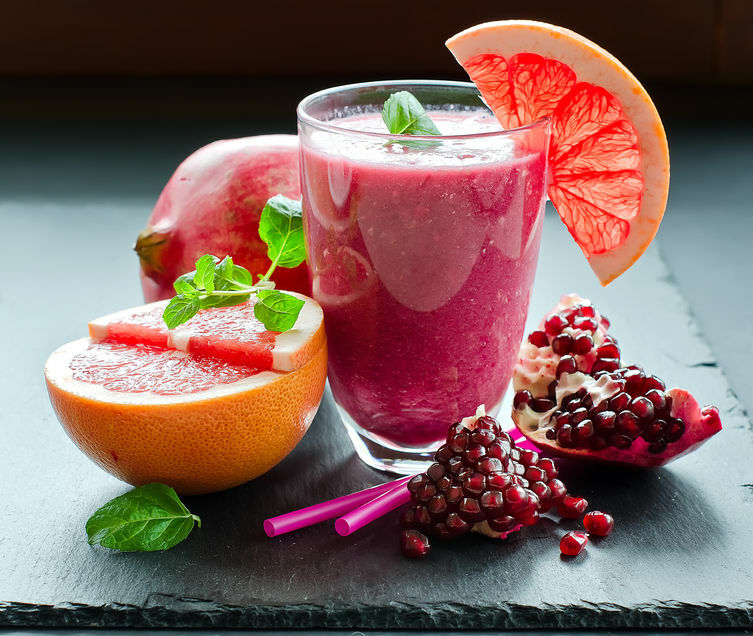 Our weather is still a little cool so instead of a lymph cleansing cold smoothie, why not grab a lovely warm pink latte instead. Velvet or Beetroot Lattes are starting to pop up in some of our cafes, and yes, they are a real thing! 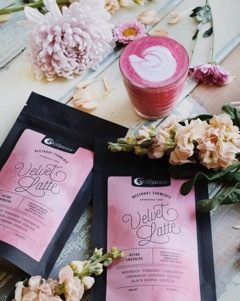 Velvet Lattes are often a milk, blended with organic beetroot powder and delicately flavoured Ayurvedic herbs. Ayurvedic Medicine is one of the oldest holistic healing philosophies in the world, incorporating the balance of mind, body and spirit, enhancing digestion and metabolism, balancing hormones and reducing stress amongst others. One Ayurvedic spice included commonly in these lovely concoctions is turmeric. As well as being nature’s best anti-inflammatory, it is also a powerful anti-oxidant. Anti-oxidants fight free radicals and support the immune system helping kick infection! Cardamon, ginger, vanilla, black pepper and cinnamon are also often combined. Pepper (piperine) combined with turmeric helps make turmeric more bioavailable, which simply means your body can access the goodness more easily. One study found that just 20 mg of pepper with 2 g of turmeric can increase its bioavailability by 2000%. Pepper has also been known to reduce pain. Cinnamon has anti-oxidant, anti-inflammatory, anti-diabetic, anti-microbial and immunity boosting cancer and heart disease protecting abilities. In certain health circles and in some countries around the world, Cardamon is sprinkled into coffee. Acidity creates inflammation in the body and coffee is acidic by nature. Not only can cardamom make coffee more body friendly. It has been used in cancer research, cardiovascular health, dental disease, as an anti-inflammatory, anti-asthmatic, and for detoxification purposes. Ginger is another great lymph cleanser as well as being an anti-nausea and anti-microbial. This drink mix can be easily purchased from health food stores or online and can be enjoyed heated with your favourite milk or chilled on ice for summer. For anyone who is a lover of chocolate, add a tablespoon of raw cacao for a mocha sensation and for an extra bit of sweetness, try it with a touch of real maple syrup. We use NutraOrgaincs available online. Be sure to download our free Sink The Ink smoothie guide found on the front page of our website. When it warms up, here is our Blueberry Smoothie, another great lymph cleanser. Facial Rejuvenation, Two Ingredients That Really Work! 8 Weird Facts about Tattoo Removal You Might Not Know!